268 pages | 42 B/W Illus. 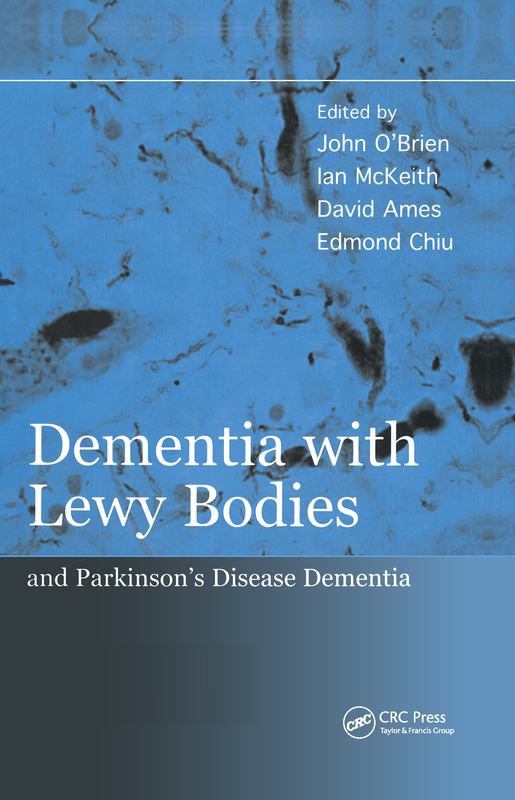 Filling a noticeable gap in the market for a new text solely focused on Dementia with Lewy Bodies, this book discusses cutting-edge topics covering the condition from diagnosis to management, as well as what is known about the neurobiological changes involved. With huge progress having been made over the last decade in terms of the disorder's recognition as a common cause of cognitive impairment, its clinical features, its underlying neurobiology, investigative changes, and management, this is undoubtedly a much-needed work in what is an important and rapidly progressing field. David Ames, BA, MD, FRCPsych, FRANZCP, is Professor of Psychiatry of Old Age, University of Melbourne and Director Aged Psychiatry Services, St George's Health Service, Melbourne, Victoria, Australia. Edmond Chiu, AM, MBBS, DPM, FRANZCP, is University of Melbourne Professorial Fellow in Psychiatry of Old Age and Psychiatrist, Aged Psychiatry Service, Melbourne, Victoria, Australia.